To the friend that recommended this restaurant, I owe a thank you … Actually, I owe a massive thank you and maybe a large glass of something special. 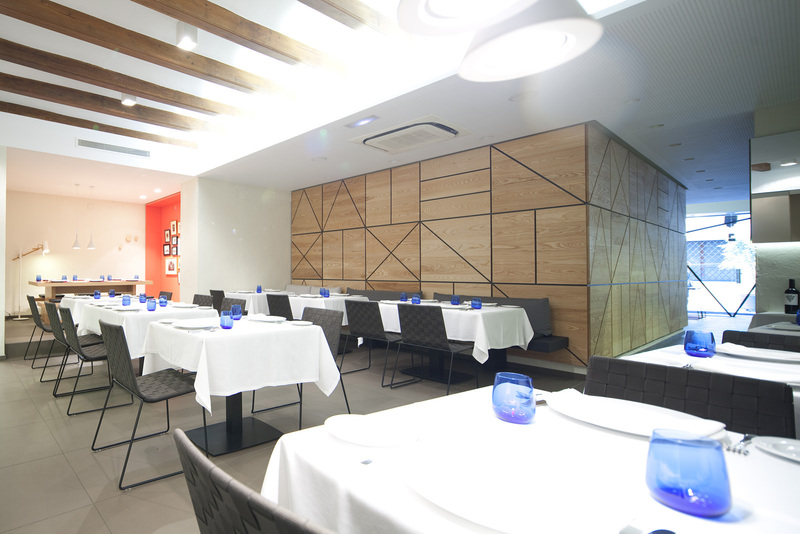 Fine dining SeuXerea is a Mediterranean & Asian fusion restaurant in the center of the city of Valencia under the guidance of Anglo-Burmese Steve Anderson who pretty much who pioneered the introduction of Asian food to Valencia. As you know, I love a tasting menu and luckily for me, SeuXerea has a pretty fantastic one. As with a lot of the restaurants in Valencia, seafood is a pretty big feature, so it is worth letting them know if Oysters aren’t your bag. If like me, they are very much your bag, then their Oyster with Dashi is insanely good. The Chicken and peanut samosa was for me, an unexpected contender and also and was very well received. I am usually of the mind that anything disguised in pastry is already half winning and therefore a cheat dish… However, this was seriously flavoursome and dare I say the pastry merely complimented it. There, I’ve said it. Also, a big round of applause needs to go to their Lamb with Dates. This is a bit of a winning combination and stole my heart a little so I would highly recommend that you at least try this. Now, the Aubergine with octopus and sea water mayonnaise. (Let that sink in). This was a hit with everyone, including the two guests that aren’t huge seafood fans. The Octopus was cooked to a soft but meaty texture and the sauce was delicious and not at all overpowering. Notable mentions to the Cod in herb crust with almond sauce and the Prawn and vegetable gyoza and theChilled carrot lime and cumin soup with coconut foam. For those of you who are usually secretly wishing away the meal to get to the dessert, the Chocolate textures will rock your world. As a side note, ever the diner who orders a little extra off menu… (yes, I am that girl) and having worked my way through every carb Valencia had during the day, I asked if they had any Gluten free bread… The answer came in the form of a perfectly mini baked bread which was delivered with extra charm in less than 10 minutes. Impressive stuff. We started early and so it was not as busy when we first arrived, but as is the normal way in Valencia, the restaurants fill up later and so by 9:30, it was full. The style is relaxed chic with a lot of tables of 3 or more creating a lively atmosphere, while there were a notable couple of tables for two that were celebrating. Steve Anderson has since launched a new venture in the Mercado Colon called Ma Khin Café, a café-restaurant with “a new take on the high quality cuisine”. This is something he has become renowned for in his adopted city of Valencia. I have no doubt that SeuXerea will continue to do really do well in the dining scene and is in line for some highly respected awards. The food and service are genuinely fabulous and even more impressive, they were quite happy to accommodate my loud celebrating group of 6. So, if you’re celebrating with friends or having a romantic dinner, definitely give SeuXerea a call.